Today we begin our Epiphany series “Why Give?” God calls us to be “givers” not “getters.” Why should our hearts be set on giving? This series is focused on answering that question. 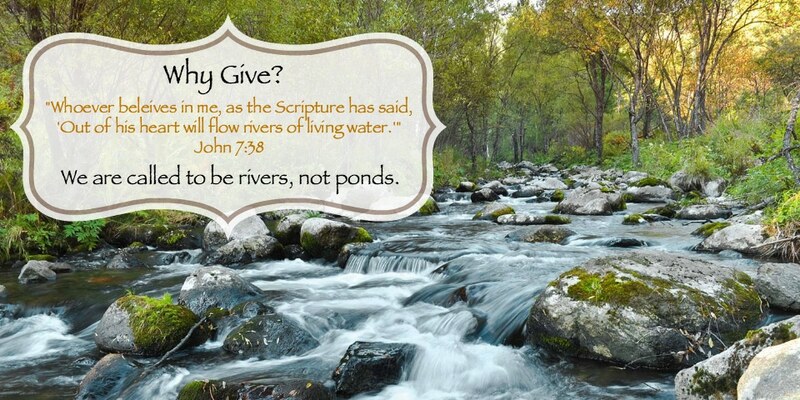 You are also encouraged to pick up a copy of the devotion book “Why Give?” which is available in the church entryway. Today we consider that we are not saved in order to be ponds that go stagnant, but rather rivers through which God’s blessings flow. The river’s origin is God, and it is to flow through us to be a blessing to the world. We do not seek to hold on to the blessings, but rather pass them on and give them away. When we do, God brings forth fruit, not just in our lives but in the lives of others.